The photograph of a little boy you can see in front of you was taken in one of the main streets of Lublin. There is nothing particular in this picture and you cannot say much about it. Some citizens of Lublin may be able to recognize the place where the boy stands. People pass it every day, not paying attention to it. When we look at this photograph, we cannot even specify when it was taken. Perhaps before the war? Or maybe after the war, in the 1950s or the 1960s? Thousands of similar pictures of kids are taken in the streets every day. However, behind this seemingly casual photo there is the life story of a little Jewish boy, born in 1933 in Lublin, whose name was Henio Żytomirski. He is the kid in the picture. 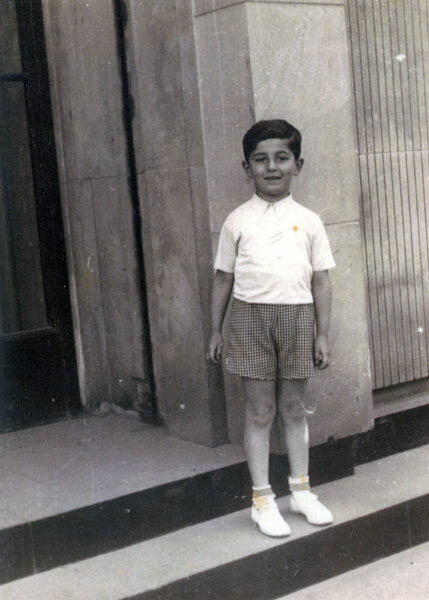 Six year old Henio was to start primary school on 1 September 1939. Yet, World War II broke out on that day and Henio never went to school. He died in 1942 in a gas chamber of Majdanek Nazi concentration camp. This photograph is the last in the series of his pictures taken by his father every year. The photos have survived and they can be arranged into a small album. Turning over its pages, we can see the photographs of Henio from 1933, 1934 and so on, until the last one from 1939.